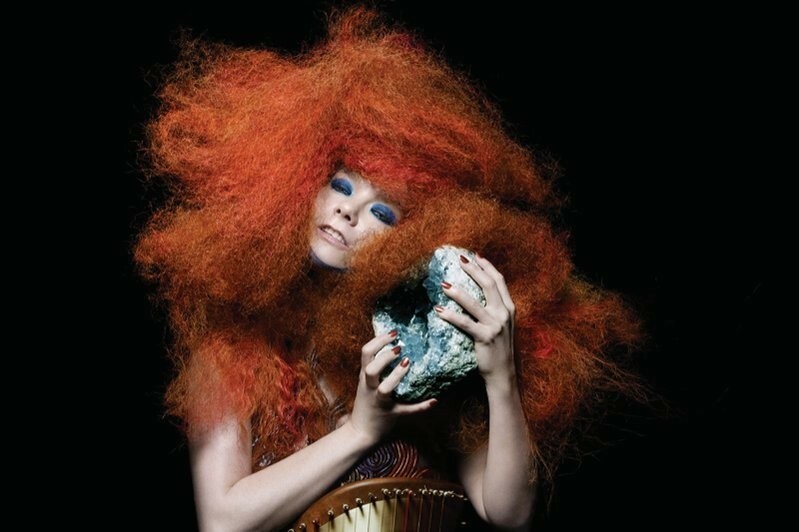 Not content with acquiring her Biophilia app for its permanent collection, the Museum of Modern Art (MoMA) in New York has announced that it will hold a full-scale Björk retrospective in March 2015. The exhibition promises to span 20 years of Björk's work, including everything from her groundbreaking visuals, music videos and films to her instruments and costumes (will we see the famous Alexander McQueen kimono from the Homogenic cover? We can only hope). Björk will co-write the retrospective with acclaimed Icelandic writer and ex-Sugarcubes member Sjón Sigurdsson, and the whole experience will culminate in a specially commissioned immersive film and music exhibit by 3D design company Autodesk and Andrew Huang, who conceived the mind-melting video for "Mutual Core". Björk is one of the few musicians to land their own MoMA retrospective – the last exhibition of this kind was 2012's celebrated Kraftwerk exhibition. Björk will open 7 March through 7 June 2015.